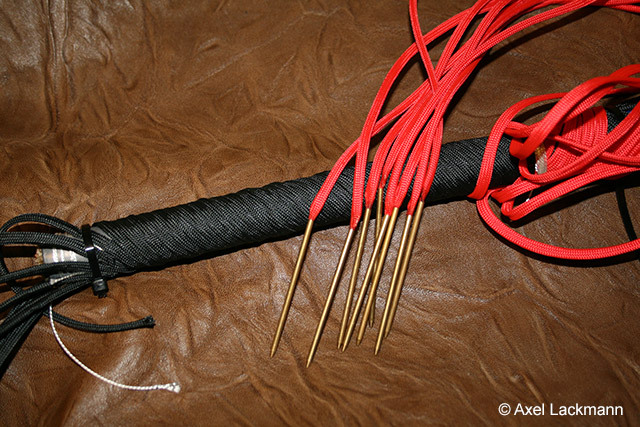 New in my collection is this well elaborated paracord bullwhip. Begin of the plaiting pattern by the spiral method. The first colour is wrapped firmly around the handle. 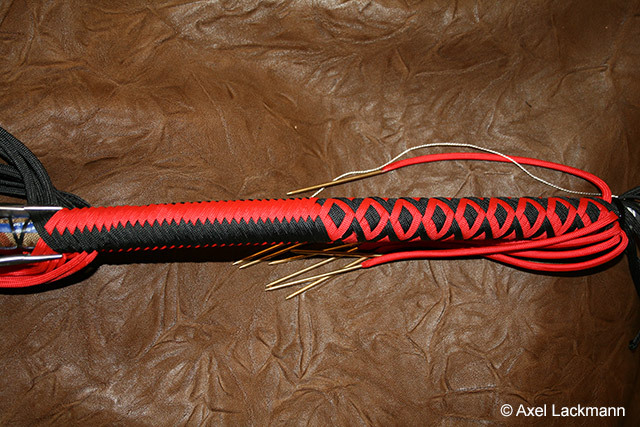 The strands of the second colour get plaiting needles attached. Pattern halfway finished using the needles. The pattern continues down to the start of transition. Then the work continues as "Whipmakers Plait" (four-seam). 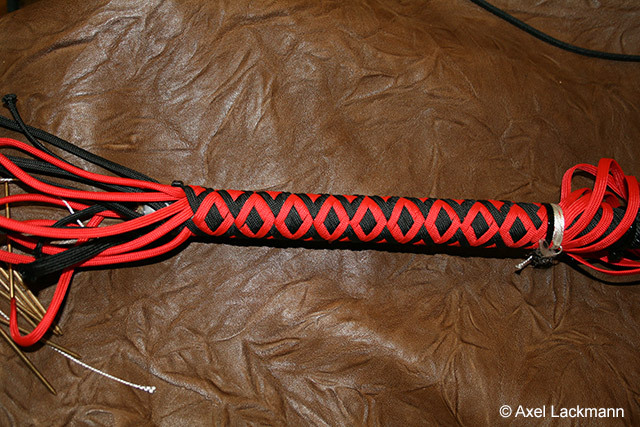 The whip is completed except knots. 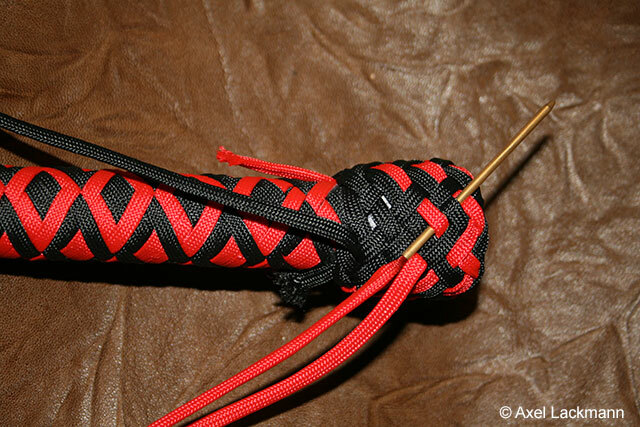 Heel knot and transition knot are made. 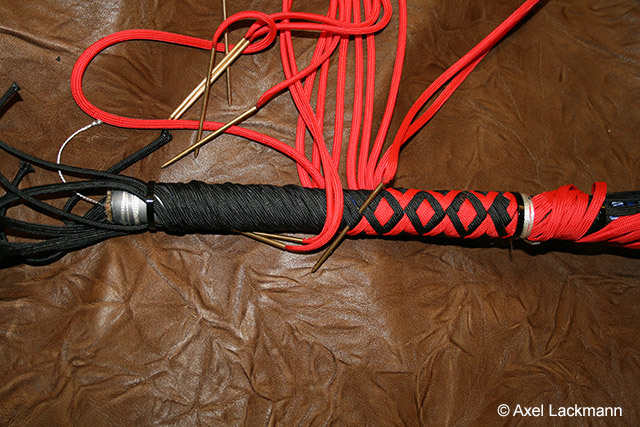 After melting the ends of the strands, the whip is rolled to smoothen the surface. Then it is finished.